The IPEVO VZ-1 HD is the least expensive camera currently supported by the CSDA. 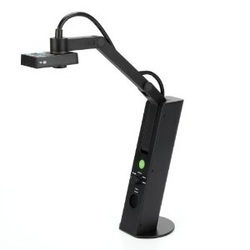 It can be hooked up over a usb connection or straight to a projector using a VGA cable. It captures lower resolution images than the others. Please refer to the document below to see how it compares with other models the CSDA is currently supporting.